From Thanksgiving stuffing to Christmas Cocktails, ’tis the season! I have a number of blog posts lined up but have been so busy I cannot find time to finish any of them. Sounds like a good New Years Resolution… “Finish Blog Posts!” Of course the effect any resolution has on me is less than nil. We will see what happens in January. 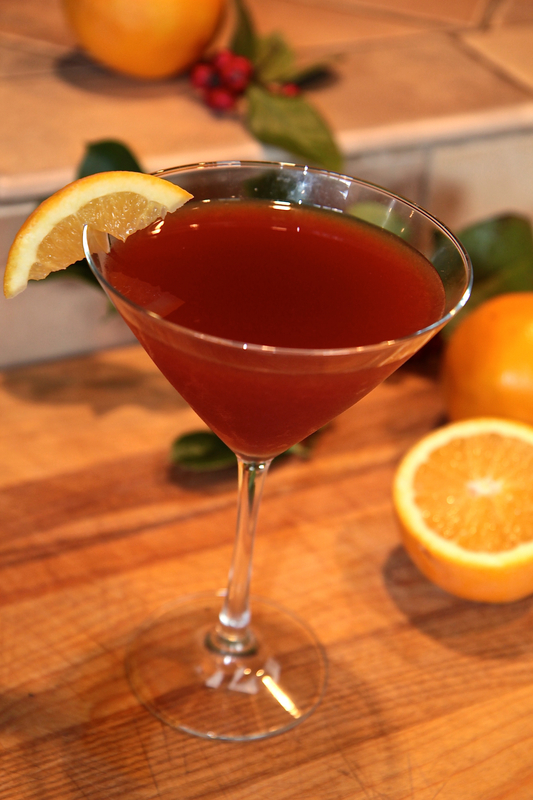 In the meantime, here is a cocktail for your holiday celebrating that is just about perfect. My twist on the great Gramercy Tavern‘s Cranberry Daiquiri. Understand, I am not a fan of sweet drinks. The fact I love this cocktail and will happily drink it in lieu of a martini says a lot about how wonderful it tastes. The daiquiri takes a little prep, both getting the right rum and making Cranberry Syrup. Make a big batch of the syrup, however, and you are ready anytime between now and Epiphany to make the cocktail. People go crazy over this, trust me. Since we are talking cocktails, I’ve also included another drink I will humbly admit I have become famous for, my version of a classic Manhattan. So invite some people over, make some goat cheese spread (A Near Perfect Food, my first post) and have a blessed Christmas season. Gourmet magazine’s Baked Cheddar Olives are another sublime appetizer to serve.